I love finding different uses for everyday items. 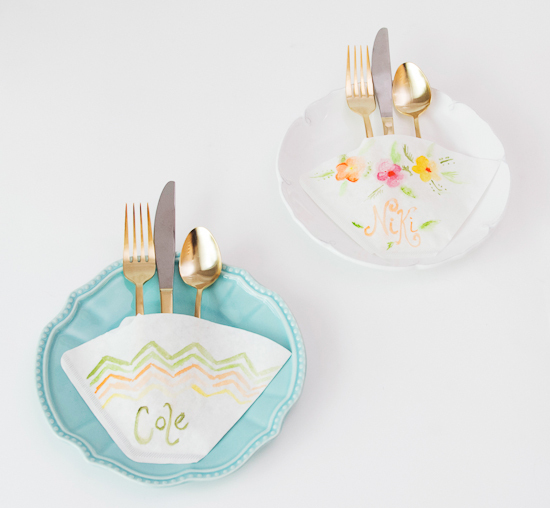 I've seen coffee filters used for party decor, like wreaths and flowers, but I love this idea of using them as utensil holders. Especially now that the warmer weather is approaching, this is a good idea for outdoor parties, since coffee filters are so disposable. These were painted up pretty fancy. But, you could simply tie a bow around each set of utensils and display in a pretty basket. Find the original post at Papery and Cakery.